2016 Lowe SS250XD The Lowe Super Sport 250 XD provides all the comfort, amenities and performance you need to make every day on your pontoon boat memorable. An extended deck provides great water access for your crew, and thanks to Lowe Boats’ proven construction and design expertise, you get lasting durability and maximized space, so up to 15 people can set sail for all-day fun. 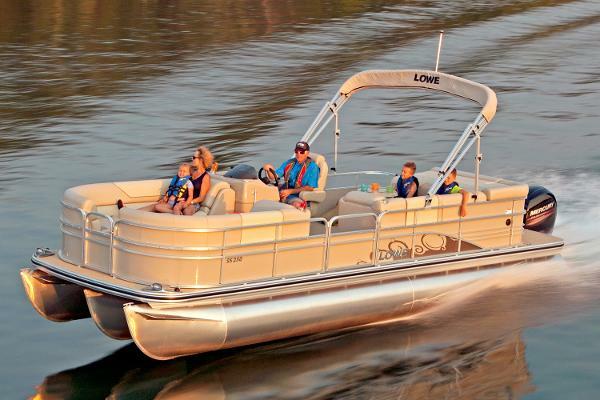 With 26 Customer Satisfaction Index Awards to our name, it’s no wonder a Lowe Super Sport pontoon boat is one of the best values on the water. Please note: This boat model may or may not be in-stock. A Nationally Advertised Price, if listed, may change without notice or include accessories not fully described herein. Please contact your local, authorized dealer for exact details on model availability and package pricing. 2015 Lowe SS250XD Super Sport This boat model may or may not be in-stock. Please contact your local, authorized dealer for more information The SS250XD provides all the comfort, amenities and performance you need to make every day of pontooning memorable, with an extended deck for great water access. 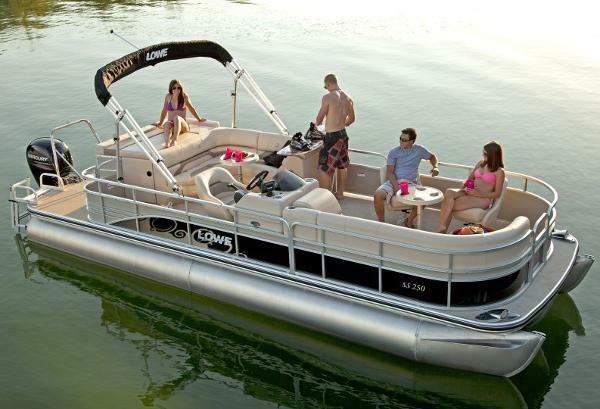 Top-quality Lowe construction means lasting durability and maximized space, so up to 15 people can set sail for all-day fun. 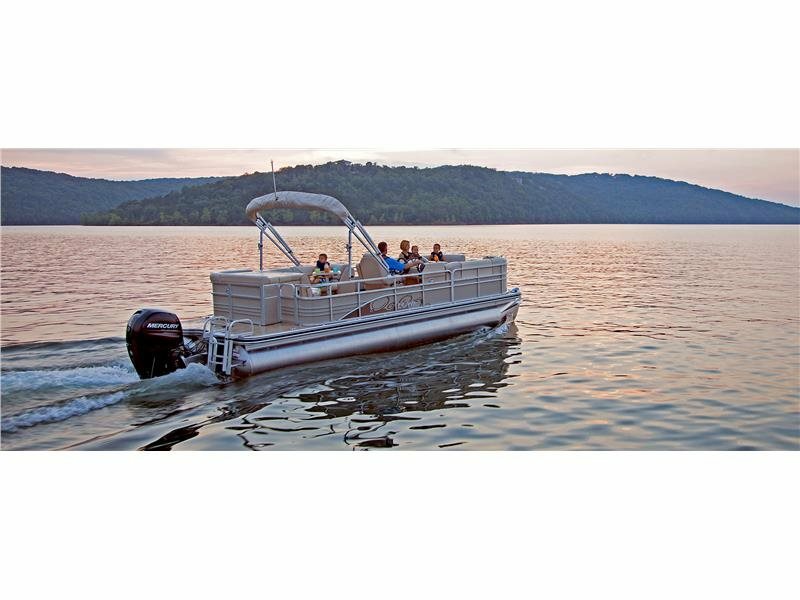 Features include: 25" diameter high-buoyancy pontoon logsCapacity for 15 passengers to ride in comfortFiberglass reinforced acrylic console w/ gaugesBarrel helm seat w/ swivel & sliderJensen® MS30 Bluetooth-ready AM/FM stereo w/ speakersStern “L” group seating w/ under-seat storageStarboard bow chaise loungeFull sun padLarge round pedestal table w/ drink holdersStern entry w/ heavy-duty boarding ladderHeavy-duty 9' Bimini top in choice of 3 colorsOPTIONAL XL PERFORMANCE PACKAGE: 25” center log, rough-water pkg. w/ lifting strakes & spray deflector Lowe factory packaged boats are available with various horsepower Mercury® outboards. Standard equipment and options may vary from model to model. 2015 Lowe SS250 XD, This pontoon is loaded!! 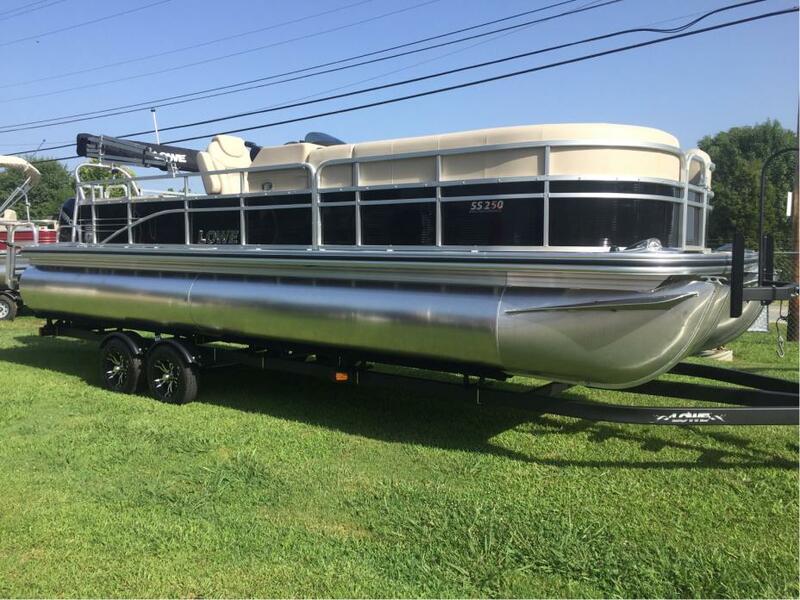 This boat comes with a Mercury 250 Verado 4 Stroke, 2 Jensen additional speakers, Custom reclining Seat with slider, Lowrance Mark 5x Depth Finder, Bimini Top, Full Custom Cover, Roughwater Package, Rear Teak Flooring, LED Interior Lighting, Chrome Package, Ski-Tow kit and many many more options! You have got to see this pontoon! Call or come by for more information! Financing Available!